I’m glad and proud to present to you my third Guest Writer on the blog, Mr. Roger Khater. 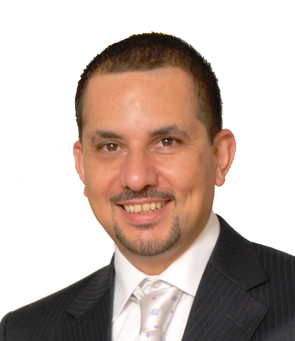 Roger Khater is a Serial Entrepreneur with an Electrical Engineering degree from USJ/ESIB; in addition to his responsibilities as the Managing Director at IP Engineering Pro, he has main board roles and major managerial functions in Caliber Workforce (Human Resources Services) as a Partner and Maktabi (Virtual Office Services) as the Owner. Roger also serves as the President of the PMI Lebanon Chapter. Many entrepreneurs whom I often meet have great business ideas, very few though have a good business plan, and the worst are the ones who only have a fancy website, a distinguished business card but no or not enough clients. Call me old fashioned but the truth remains, starting a business is all about selling, assuming the business idea is viable. The act of selling involves customers, who are real people after all. So bet on people and invest in relationships. What is the #1 business startup killer nowadays? It is the course of actions that is driving our young entrepreneurs into having all the necessary business vehicles, from business identity, to website, to social media, etc… But they forget the key business aspect that is to sell their products or services to real people. I never recall selling anything to a sheep. If you have a business idea, don’t waste your time, just sell it. Get your first few customers and leverage on them. Capitalizing on your personal relation, enhance the trust quickly and stay close when needed. Forget about the shiny stuff, they will eventually come at a later stage. After a few successful deals, reassess your market in $ value, know your competitors, they exist in one form or another, and only now you can decide if the market size is enough or suitable for you. Embrace this market, make it your target, position your portfolio, have a value proposition and again go sell for more. If after 2 years you are still stuck with few customers that do not generate enough income, drop the idea, change business line and redo the exercise better. Always ask for help, you need that, secure as many mentors, they will make a difference. The key to success is gaining customers by selling to people. The accessories are merely a plus.